I spent the last month running inside on a treadmill at the local YMCA. Definitely not my favorite way to get my exercise, but I really had no choice. My husband and I have been down for the count: hit hard by severe coughs since early January. Multiple trips to the doctors haven’t been able to resolve anything…we’re just letting nature take its course. Unfortunately, the slightest shot of cold air has us coughing/choking for air. So until today, I’ve been hitting the gym and doing slow 5ks indoors. Not fun, but each day I’ve been improving. Despite the 30-degree weather, I finally bit the bullet and attempted an outdoor run. It was slow going…but I only had to stop once for coughing. I’ve never felt happier about a 2 mile run! 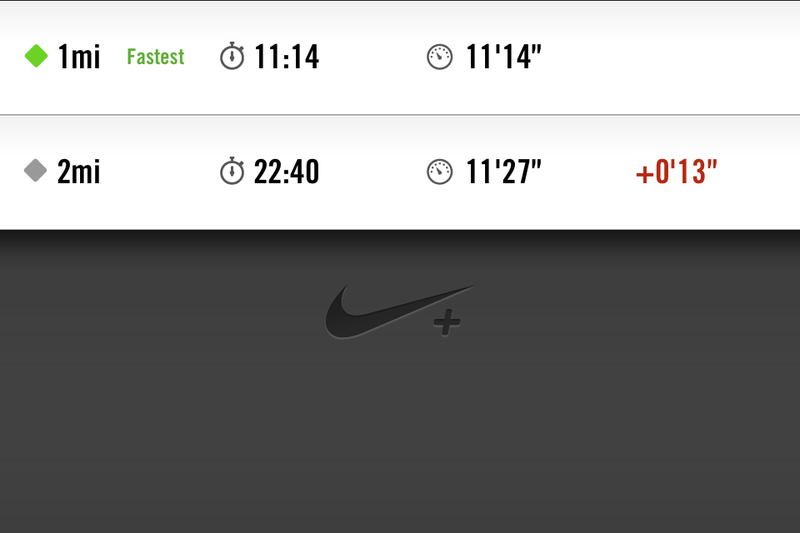 As you can see below, I use the Nike Running application on my iPhone to track my runs. It’s a great alternative to a Garmin (especially if you already have an iPhone), and allows you to track pace, distance, time and route. It’s good to be back and I am excited about gearing up for Nike’s Women’s Half Marathon in D.C.!